Zahir was surprised to find he had a beautiful new driver. This chauffeur did not blend into the background. Diana Metcalfe talked. She laughed. She took him on unplanned detours. And he had more fun than he'd had in years. But back in his desert kingdom, a dynastic marriage was being brokered for Zahir. Crazy though it seemed, he wished that this wonderful, vivacious, thoroughly unsuitable woman could be his bride instead. When photographer Lisa Sullinger injures herself while exploring alone in the harsh desert of Moquan said, she thinks it's pretty bad luck. Then a sandstorm strikes! Enigmatic Sheikh Tuareg al Shaldor shelters Lisa in his desert tent before whisking her to his stunning palace. Lisa can't help but fall for Tuareg — but knows he has barriers around his shattered heart. 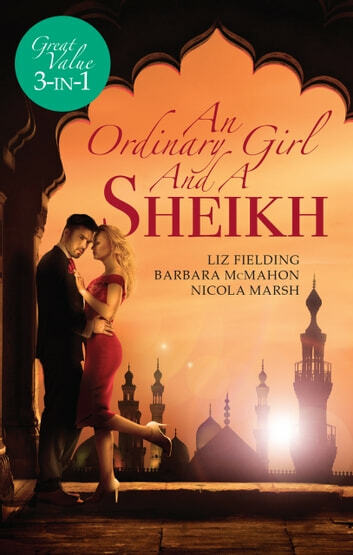 Can Lisa bring light — and love — back into the brooding sheikh's life? Time is running out for Prince Samman! In order to be crowned king, he must marry, but he has rejected all his advisors' suggestions. Then he is captivated by a pair of honey-coloured eyes, and chooses Bria as his bride!